THis is so beautiful, love the main tree with the background works really well. Pretty card, Lucy! 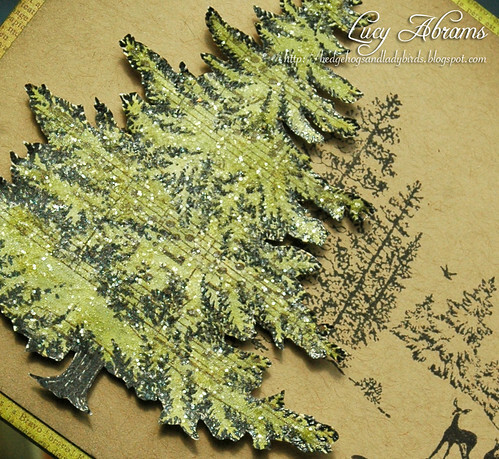 Love that gorgeous, glittery tree! Beautiful scene - love it. 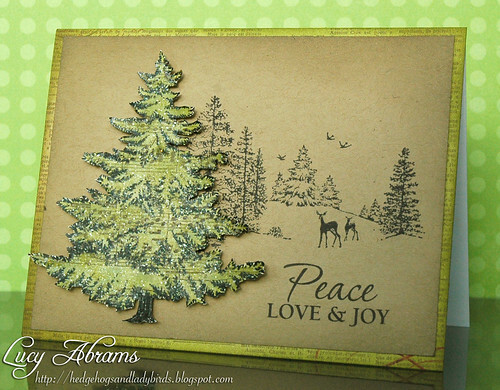 I am confused by step five "using black ink and embossing ink" to stamp the tree? Can you please clarify? I love this card!